Manuel Antonio apartments in Manuel Antonio, Costa Rica - El Mirador del Pacifico apartments in Manuel Antonio: The apartment house with 4 apartments is located in beautiful Manuel Antonio, the south-pacific-zone of Costa Rica. 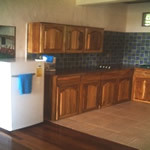 The Apartment house is located in beautiful Manuel Antonio, the south-pacific-zone of Costa Rica. The ideal destination for your next vacation. Set in the rainforest and near the ocean, the Apartment house is the perfect location to experience a piece of paradise. The property has 14 000 m2 with parts of primary forest, where you can enjoy a large variety of flora and fauna. Apartments: 4 big apartments with 2 bedrooms each with 2 double beds, 2 bathrooms, hot water, seperate entrance, full equiped kitchen, big livingroom, A/C, Fan, TV, Tel, nice ocean view, near by the pool. 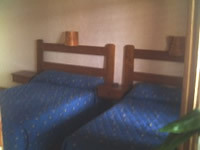 The apartments are good for up to 8 persons. 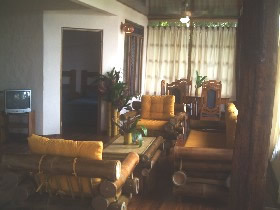 We guarantee quality rooms, excellent service, beautiful natural surroundings and a friendly athmosphere. We are welcoming you to your very special "Holiday in Paradise"